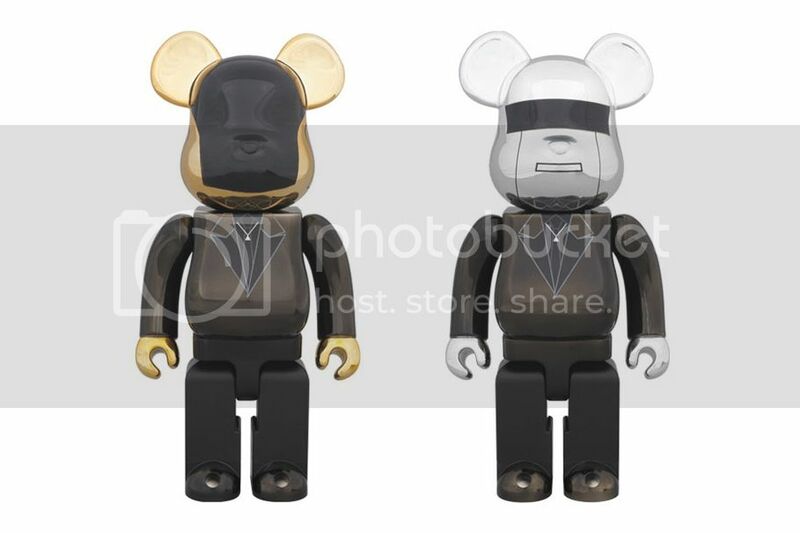 In celebration of the release of last year’s Random Access Memories from Daft Punk, Medicom Toy has crafted special edition Bearbricks for the debonair robots. 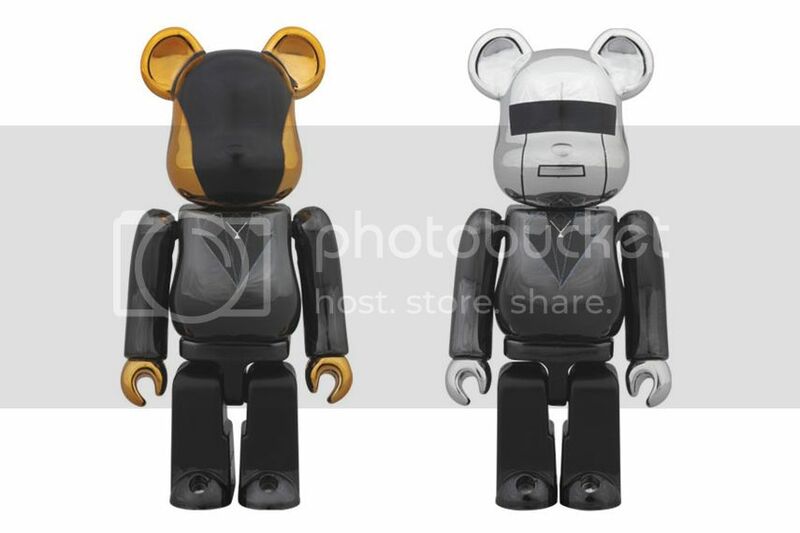 Appearing in both 400% and 100% form, the release sees Guy-Manuel de Homem-Christo and Thomas Bangalter in their Saint Laurent suits as the pack joins a number of previous collaborations between the Japanese toy giant and the French duo. Retailing for ￥13,800 JPY (approximately $135 USD) and ￥3,000 JPY (approximately $29 USD) respectively, the 400% and 100% two-packs are due out June 24 from the likes of Medicom’s own web store and project 1/6.